Cendarsoft PDF Converter is a quickly pdf file converted to other formats converter, to maintain the original format of the pdf file in the conversion process, Cendarsoft PDF Converter supports various output formats, a multi-purpose, to achieve a pdffiles into a variety of document solutions that bring convenience to your work. Cendarsoft PdfConverter can convertion Pdf documents into Microsoft Office document (Word document (doc), PowerPoint document (ppt)), epub books documents, pictures (bmp, jpg, png, tif, wmf, emf, gif), Html files, text files, etc. After conversion, all the original text, images, graphics, tables, hyperlinks, layout and formatting are exactly preserved. Support exporting Microsoft Office Word 2003/2007/2010. Batch conversion ? Convert up to 500 PDF files at one time. Partial conversion ? Select any pages or page ranges from multi-page PDF file to convert. Statement: First, please download the orginal installation package by clicking the download link. Of course you may also download it from the publisher's website. Using Cendarsoft PDF Converter crack, key, patch, serial number, registration code, keygen is illegal. The download file hosted at publisher website. We do not provide any download link points to Rapidshare, Hotfile, Depositfiles, Mediafire, Filefactory, etc. or obtained from file sharing programs such as Limewire, Kazaa, Imesh, Ares, BearShare, BitTorrent, WinMX etc. Software piracy is theft. 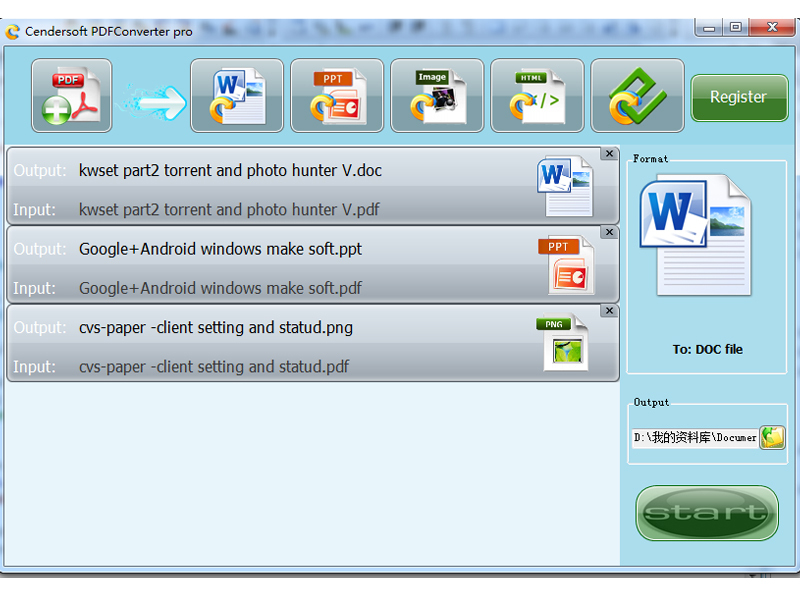 If you like Cendarsoft PDF Converter please buy it.